Three fingers were cut from Galileo's hand in March 1737, when his body was moved in Florence. (CNN) -- Two fingers cut from the hand of Italian astronomer Galileo nearly 300 years ago have been rediscovered more than a century after they were last seen, an Italian museum director said Monday. They were purchased recently at an auction by a person who brought them to the Museum of the History of Science in Florence, suspecting what they were, museum director Paolo Galluzzi said. Three fingers were cut from Galileo's hand in March 1737 when his body was moved from a temporary monument to its final resting place in Florence, Italy. The last tooth remaining in his lower jaw was also taken, Galluzzi said. Two of the fingers and the tooth ended up in a sealed glass jar that disappeared sometime after 1905. There had been "no trace" of them for more than 100 years until the person who bought them in the auction came to the museum recently. "I was very curious," the Galluzzi said. "There is a description from 1905 by the last person to have seen these objects. It provides us with a very detailed description of the container and the contents inside," Galluzzi explained. The jar "matches in every minute detail" the description, Galluzzi said. But by the time the urn went on sale, the label saying what was inside had been lost, so the sellers and the auctioneer did not realize its significance. "Everybody knew there were fingers and a tooth, but the people preparing the auction didn't know it was Galileo," Galluzzi said. The owner who bought the fingers wants to remain anonymous, Galluzzi said, so the museum is not giving more details about who sold them or when. The museum plans to display the fingers and tooth in March 2010, after it re-opens following a renovation, Galluzzi said. The museum has had the third Galileo finger since 1927, so the digits will be reunited for the first time in centuries, he added. Removing body parts from the corpse was an echo of a practice common with saints, whose digits, tongues and organs were revered by Catholics as relics with sacred powers. 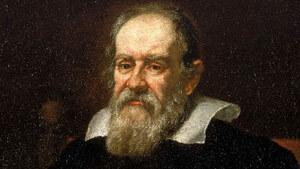 There is an irony in Galileo's having been subjected to the same treatment, since he was persecuted by the Catholic Church for advocating the theory that the earth circles the sun, rather than the other way around. The Inquisition forced him to recant and jailed him in 1634. The people who cut off his fingers essentially considered him a secular saint, Galluzzi said, noting the fingers that were removed were the ones he would have used to hold a pen. "Exactly as it was practiced with saints of religion, so with saints of science," Galluzzi said. "He was a hero and a martyr, keeping alive freedom of thought and freedom of research." He said it was little surprise that the 18th century followers of Galileo would have mimicked the practice of those who persecuted him. "The behavior of people adhering to one pole of these antagonisms is often much like those on the other pole," he said. It is not yet clear whether enough organic material remains in the newly discovered fingers for DNA testing, Galluzzi said, but if there is, it could shed light on the blindness that afflicted Galileo late in his life and his final illness. Galluzzi is convinced the find is genuine. If it was a fake, "would you have sold it at very low cost at an auction? All the story is so convincing I cannot think of a reason not to believe it," he said. Galileo Galilei invented the telescope -- among many other achievements -- which enabled him to discover that the planet Jupiter has moons. He became the foremost advocate of Copernican astronomy, which denied that the earth was the fixed center of the universe. He died in 1642.